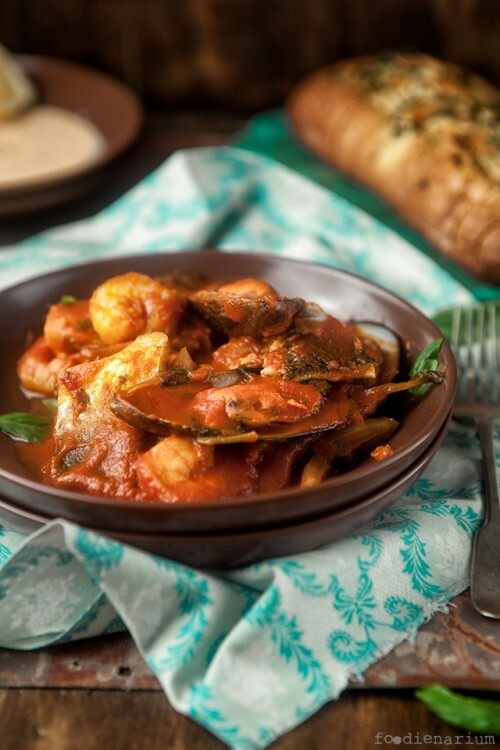 What is good in seafood, is the fact that it’s very quick to cook. In addition, it looks very interesting and dishes with them also look very unusual. It is also not unimportant, since the aesthetics of food adds a lot of motivation to cooking it. And even when the seafood is not prepared in its pure form, the entire dish, in which they are included, is prepared quickly, too. 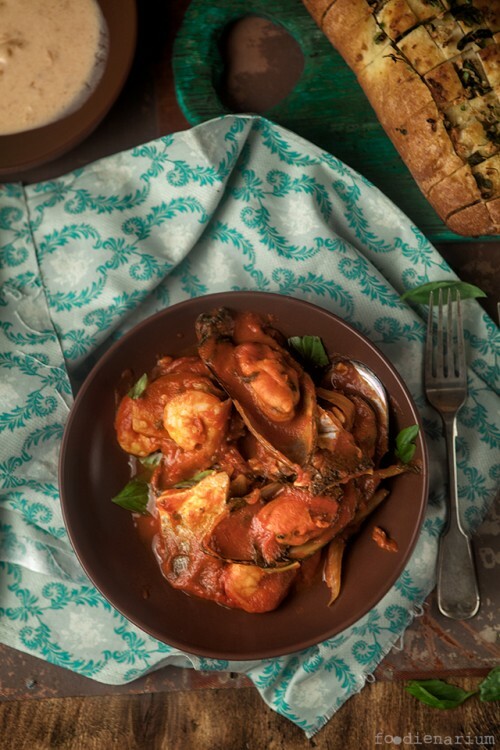 Here, for example, an idea how to stew fish, shrimps and oysters in tomato sauce in just 15 minutes! Halve the fennel (reserving any leafy tops) and put into the food processor with the anchovies, the trimmed spring onions and chili pepper. Blitz until finely chopped. Put the mixture into a casserole pan with 2 tablespoons of olive oil and turn the heat up to high, stirring regularly. Squash the unpeeled garlic through a garlic crusher, then pour the wine into the pan and let it cook away. Pour in the passata and half a jar of boiling water (350ml), tear in most of the basil leaves and season with salt and pepper. Cut the fish up so you’ve got even medium-sized chunks. Add them all with the seafood into the pan, cover with the lid and boil. When the fish is cooked through (about 5-7 minutes) season to taste and serve with the remaining basil leaves and fennel tops.